Luciferases are commonly incorporated into genetic reporter systems for evaluation of eukaryotic gene expression. Often a combination of two luciferase variants with differing substrate affinities are used in a dual-luciferase assay format. Typically one luciferase acts as an experimental reporter to measure the biological response while the other is a constitutively expressed assay control used to normalize data. Several luciferase variants have been developed exhibiting broad dynamic ranges and excellent sensitivity given the extremely low background signal seen in most experimental systems. Luciferase activity typically proceeds in one of two ways resulting in either a short, intense signal or a longer-lived, more moderate signal referred to as flash or glow type assays, respectively. Several currently available dual-luciferase assay technologies utilizing different luciferase variants were investigated across a range of microplate readers in a high-throughput screening microplate format using automated method. The importance of luciferase-based assays has been well documented over the past several decades1. 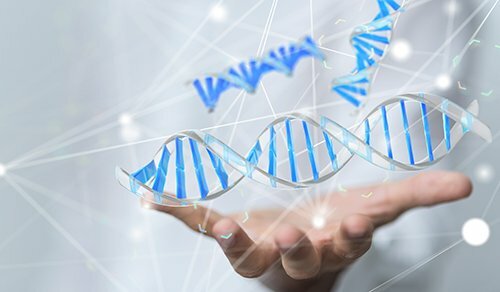 With the advent of genetic engineering tools luciferase gene constructs are now routinely inserted into organisms or transfected into cells where they serve as reporters of gene activity2. This involves generation of a genetic construct where the luciferase gene is under the control of a transcriptional promoter. Upon activation of the target promoter, activity can then be measured. Conversely, when under the control of a constitutively expressed promoter any perturbations in luciferase basal activity can provide insights into transcriptional control mechanisms for that gene. 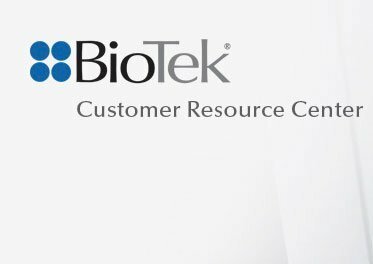 These studies can include investigation of receptor activity, transcription factor binding, mRNA processing, protein folding and detection of cellular ATP levels. In many instances, a dual-luciferase assay format is adopted where one luciferase variant performs as an experimental reporter and a second as a control reporter. The experimental reporter allows correlation of the biological effect being studied while the control serves to normalize data, eliminating variability due to experimental factors such as transfection efficiency, cell viability and cell number as well as physical conditions such as differences in temperature and time1. Typically, one of the two reporters’ luminescent signal is initiated by substrate addition, measured, and followed by a quenching reaction and initiation of the second reporter signal allowing for a homogeneous assay format. 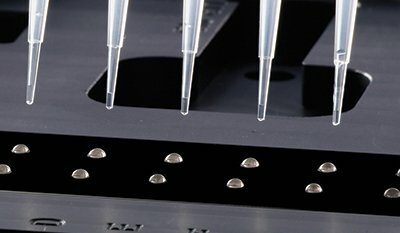 High throughput screens often utilize luciferase reporter assays in order to assess effects of compounds on target pathways of interest because of automatable reagent addition, rapid and quantifiable assay read-out, signal kinetics compatible with batch processing, and compatibility with high throughput microplate formats. However, scaling luciferase assays into higher-density formats can be challenging due to lower signal intensity and increased risk of variability. 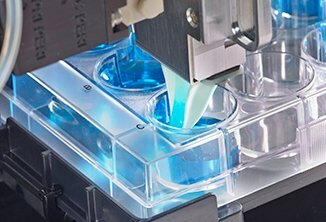 In addition, for dual-luciferase assays, the quenching required for accurate measurement of the second reporter can be hampered by increased difficulties in achieving adequate mixing in higher-density microplates. Proper quenching depends largely on variables such as plate type, method of reagent dispensing, and the type and amount of plate shaking. Here we investigate the performance of several luciferase variants and assay formats adapted to a high throughput screening (HTS) compatible, 384-well format across a range of compatible microplate readers. Genetic reporter systems have long been used to investigate regulatory mechanisms of eukaryotic gene expression and cellular physiology in response to environmental stimuli. Reporter constructs require insertion of the target regulatory element of interest upstream of a reporter gene which is then incorporated into the host cell using genetic methods or incorporated into a plasmid and transfected into host cells. 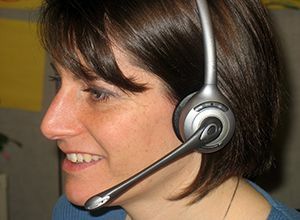 A wide range of applications have taken advantage of reporter systems. Bioluminescence, a photon-emitting enzymatic oxidation reaction, occurs in a diverse range of organisms by a generic class of enzymes termed luciferases. 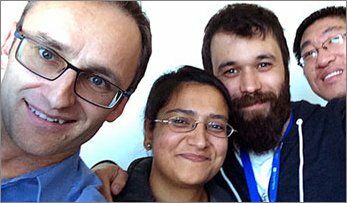 Several characteristics of this class of enzymes such as very low background signal and wide dynamic range has made them a popular choice as reporters to investigate cellular physiology1. 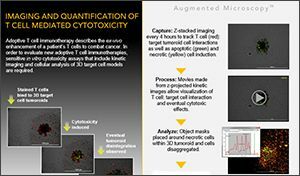 More recently, luciferase based reagents have been diversified to include quantification of cellular viability, apoptosis and metabolism2,3. Firefly (Photinus pyralis, Fluc) and Renilla (Renilla reniformis, Rluc) luciferases, 61 and 36 kDa, respectively, have been the primary workhorses in luciferase-based applications (Figure 1). Since their introduction, discovery of luciferases from a variety of organisms, primarily marine sources, have been introduced and offer distinct properties such as secretion into cell culture medium and increased stability. 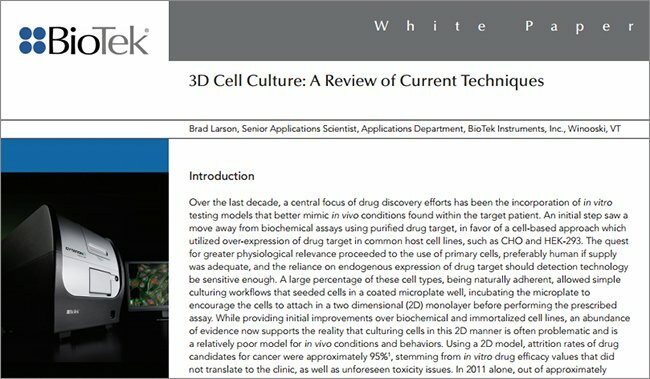 However, many of the desired properties such as bright luminescence and low background were coupled with either rapid decay or substrate instability or autoluminescence under routine cell-based assay conditions. Additionally, many native luciferase enzymes are found as heteromultimeric complexes ranging in size from 20 kDa to greater than 100 kDa making them too large or difficult to incorporate into cell-based assay systems. Therefore, efforts have been made to simplify the luciferase structure to yield a small, monomeric, stable enzyme with bright, extended light generation capabilities. Figure 1. Bioluminescent reactions catalyzed by firefly and Renilla luciferases. Recently published work involving luciferase from the deep sea shrimp, Oplophorus, highlighted the development of an engineered enzyme and associated substrate with many of the desirable characteristics mentioned above3. The engineered luciferase is a stabilized variant of the smaller catalytic subunit (Oluc-19) from the heteromeric native structure and designated NanoLuc® (NLuc) (Figure 2). NLuc, when coupled with substrate, the coelenterazine analogue furimazine, produces a much brighter light than either Fluc or Rluc with a spectral maximum at 454 nm (Figure 3). 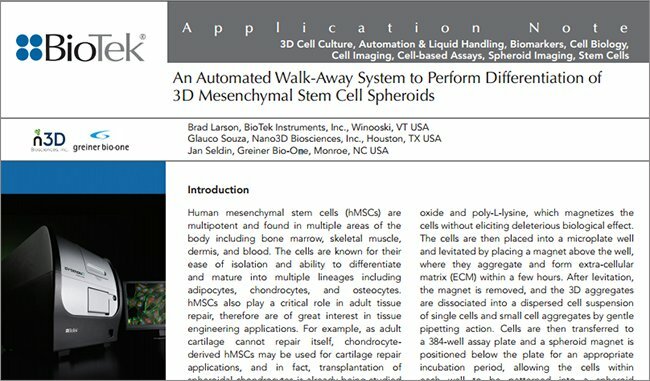 Additional desired characteristics include excellent compatibility with common cell-based systems3. Figure 2. Comparison of relative sizes of different luciferases. Figure 3. Bioluminescent reaction catalyzed by NanoLuc luciferase. Dual-luciferase assays measure reporter luciferase activity, typically a control reporter and experimental reporter, sequentially from a single sample. The control reporter allows for normalization of experimental reporter luminescence in a co-transfected, dual-reporter system to account for differences in experimental conditions (Figure 4). Typically this is accomplished by addition of reagent containing substrate specific for a single luciferase species resulting in a stabilized signal. After the signal is read, a second reagent is added to the sample resulting in quenching of this reaction while simultaneously initiating the second luciferase reaction. Maximum signal intensity and duration is dependent on individual luciferase reaction kinetics. Figure 4. 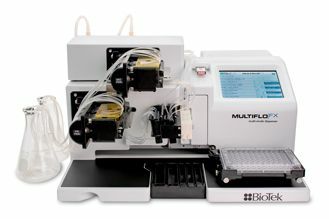 Dual Reporter Assay system. Experimental and control reporter vectors are transformed into the target cell. The experimental reporter expression varies in relation to treatment while the control reporter is constitutively expressed allowing normalization of data between individual samples and experiments. 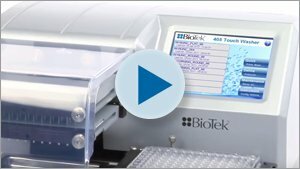 The Dual-Luciferase® Reporter Assay System (Cat. No. E1910), Dual-Glo® Luciferase Assay System (Cat. No. 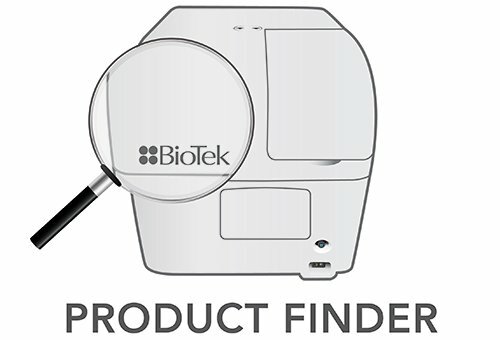 E2920), Nano-Glo® Dual-Luciferase® Assay System (Cat. No. N1610), QuantiLum® Recombinant Luciferase (Cat. No. E1702) and purified NanoLuc® luciferase were a gift from Promega, Corp. (Madison, WI). Renilla Mulleri Luciferase (Cat. No. 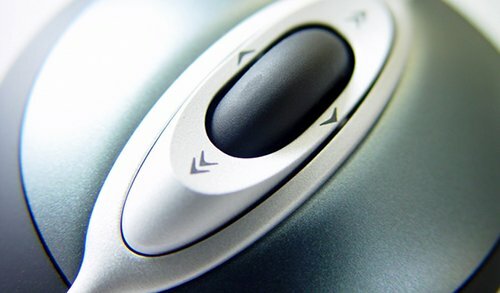 312) was purchased from NanoLight Technologies (Pinetop, AZ). Corning 384-well microplates (Cat. No. 3572) were used for all experiments (Oneonta, NY). For each assay system, firefly luciferase, diluted in DMEM media supplemented with 10% FBS, was held at a constant concentration. Either Renilla or NanoLuc luciferase was diluted to the appropriate concentration and subjected to an 11-point, 1:10 serial dilution, including a zero point, in DMEM media supplemented with 10% FBS. In a given experiment both reporters were added at a 2x concentration in a volume of 10 μL each for a total sample volume of 20 μL. For assay control wells containing a single luciferase 10 μL media was added to each 2x concentration. Firefly luciferase activity was measured first following addition of an equal volume, 20 μL, of the appropriate reagent. Following the recommended incubation period the luminescent signal was measured. The appropriate Stop & Glo® reagent for each assay was added, 20 μL, and experimental reporter activity measured following the appropriate incubation period. For the flash assay integrated injectors in each reader were used for reagent addition followed by 2 second delays before measurements were recorded. For the Glo type assays reagents were dispensed manually using a repeater pipettor. The plates were incubated with shaking on an orbital shaker at room temperature for the recommended incubation period prior to recording measurements. Following the initial read, the second reagent was dispensed and incubated as described above prior to reading. The Dual-Luciferase® Reporter (DLR™) Assay System typically uses firefly (Fluc) as the experimental reporter and Renilla (Rluc) as the control. The Fluc signal is measured first followed by Rluc. Both luciferases exhibit “flash” kinetics offering very bright signal and high sensitivity with a short half-life. 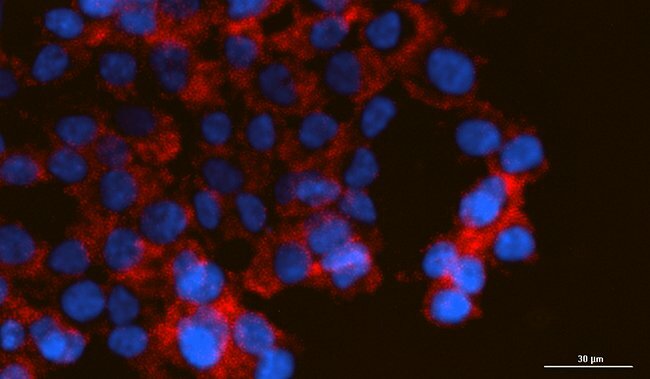 In this instance, a simplified system was tested consisting of purified luciferases to illustrate performance with a high level of Fluc expression. Replicate controls consisting of individual purified luciferase were added to a 384-well microplate. 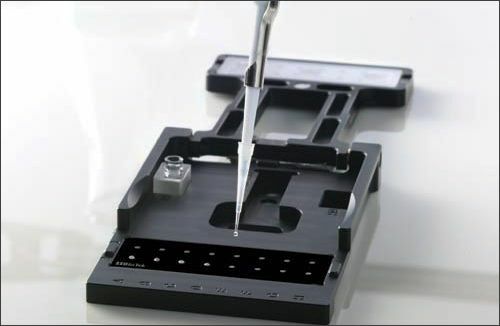 In addition, a mixture of Fluc, held at a constant concentration of 50 nM, in combination with a 10-point, 1:2 serial dilution of the Rluc was also prepared to mimic a typical cell-based assay system. All wells were treated with sequential reagent additions at the appropriate time using integrated reagent injectors. Luminescent signal was measured using either a Synergy HTX or Synergy HTX (Lum only) with dedicated luminescence optics. Regardless of the presence or absence of the Rluc reporter, Fluc signal was nearly identical across samples as can be seen in figure 5 (Fluc and Fluc w/Rluc present), demonstrating no influence of the Rluc reporter on the initial Fluc read. Following addition of the Stop & Glo® reagent, Rluc luminescence was read (Rluc only or Rluc w/ Fluc quenched) after a two second delay, resulting in nearly identical titration curves obtained from each reader tested (Figure 5). To evaluate assay performance Z’-factors were calculated using 48 replicate data points of either Fluc or blank wells containing media alone. Z’-factor determinants from both instruments were 0.91, indicative of excellent assay performance. Figure 5. 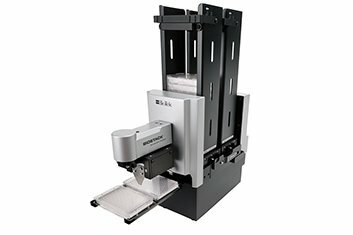 DLR Assay System. Fluc was assayed at a constant concentration of 50 nM either alone or in combination with a 10-point, 1:2 serial dilution of the Rluc to mimic an experimental cell-based system. Luminescent signal was measured using either a Synergy HTX or Synergy HTX with dedicated luminescence optics (HTX Lum). Residual luminescence can be investigated by determining the quench ratio by comparing the Fluc signal pre- and post- Stop & Glo® reagent addition. Although greater than 99% of Fluc signal is quenched by the Stop & Glo® reagent, a small amount of residual luminescence remains from the initial Fluc signal as seen in figure 5. Additional background signal may also be the result of autoluminescence of coelenterazine due to non-enzymatic oxidation. The combined background signal from the above should remain constant and may be subtracted out from Rluc measurements if deemed necessary. For comparative analysis, background subtraction was not performed throughout these studies with the exception of quench ratio calculations. Quench ratios of 1,778 and 2,972 were determined for Synergy HTX and HTX (Lum only) instruments, respectively (Figure 6). The observed difference is primarily a result of the increased sensitivity of the dedicated luminescence optics in the HTX (Lum only) instrument providing measurements ~3-fold higher with only slightly elevated background levels being observed. Figure 6. Dual-Luciferase quench ratio. Quench ratios were determined by dividing luminescent signal from firefly luciferase following substrate addition by luminescent signal following Stop & Glo® reagent addition. The Dual-Glo® Luciferase Assay System relies on the same two luciferase reporters previously described. 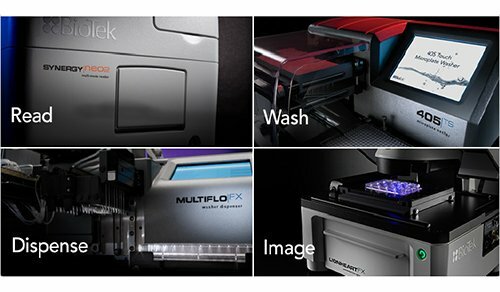 However, the assay is designed to allow for higher throughput processes given a considerably more stable luminescent signal for both reporters and homogenous assay format (with no washing or preconditioning required). The first reagent addition contains a lysis buffer formulation as well as substrate for firefly luciferase with a half-life of approximately 2 hours. In the 384-well, HTS assay format the luminescence signal from 5 nM Fluc reached maximum signal intensity in approximately 10 minutes (Figure 7). The Stop & Glo® reagent was then added at t = 20 minutes and subject to orbital shaking for 3 minutes resulting in quenching of luminescence from Fluc and providing substrate for Renilla luciferase present at a concentration of 1 μM. It was determined that quenching of Fluc luminescence approached background levels in ~ 100 minutes (Figure 7) in this assay format. The extended quench time in comparison to that typically seen in a 96-welll assay formant is likely due to the inherent difficulties of dispensing and mixing small reagent volumes in a higher-density, 384-well microplate format. However, the Dual-Glo® Rluc reaction has an approximate half-life of 2 hours and can thus be accurately measured following the desired incubation period allowing the luminescence signal from Fluc to be sufficiently quenched to background levels. Figure 7. Dual-Glo® Luciferase Assay System. Fluc (5 nM) signal was monitored on a Synergy HTX following addition of substrate for ~ 20 min. Rluc (1 μM) signal was monitored following addition of Fluc luminescence quenching reagent and Rluc substrate (red dotted line). 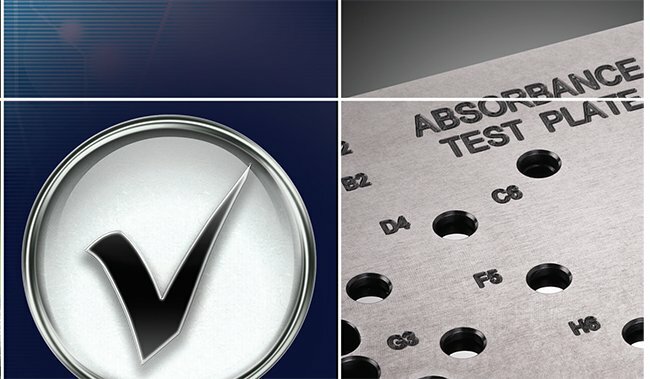 Given the stability of the luminescent signal in the assay, additional measurements from a single plate were performed across several instruments for evaluation of assay and comparison of reader performance. Either Fluc and Rluc alone or a mixture of Fluc in the presences of a 1:10 serial dilution of Rluc was prepared in quadruplicate. Fluc luminescence measurements were taken at approximately 10 minutes post substrate addition and shaking while Rluc measurements were taken at approximately 80 minutes post addition of Stop & Glo® reagent following a 3 min. shake (Figure 8). 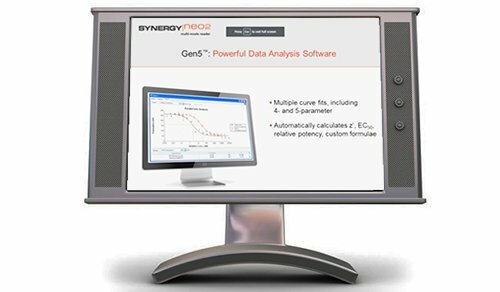 Z’-factor values were calculated as describe above resulting in values of 0.91, 092 and 0.90 for assays performed on the Synergy™ Neo2, Cytation™ 3 and Synergy HTX Lum, respectively. Z’-factor determinants of >0.5 are indicative of excellent assay performance across all readers tested. Figure 8. 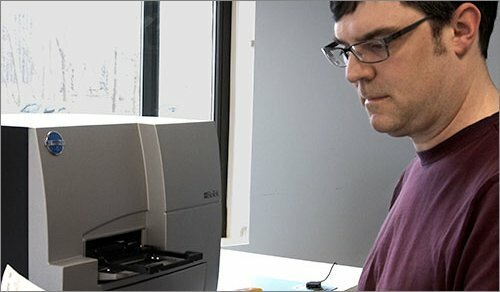 Dual-Glo® Luciferase Assay System performance comparison across readers. Fluc luminescence was measured at ~10 minutes post substrate addition across multiple readers. Rluc luminescence was measured at ~80 minutes post Fluc quenching and Rluc substrate addition. The Nano-Glo® Dual-Luciferase (NanoDLR™) Assay System combines the increased signal stability seen with the Dual-Glo® assay with significantly brighter luminescence signal generation from the NanoLuc luciferase. Stable glow-type luminescence signals have a ~2 hour half-life which allowed data collection from the same samples across several instruments. Similar to DLR and Dual-Glo®, the Fluc signal is measured first, followed by quenching and measurement of the second reporter, Nluc. In this study Nluc was subject to an 11-point 1:10 serial dilution starting at a concentration of 0.25 nM and Fluc concentration was lowered to 1 nM. 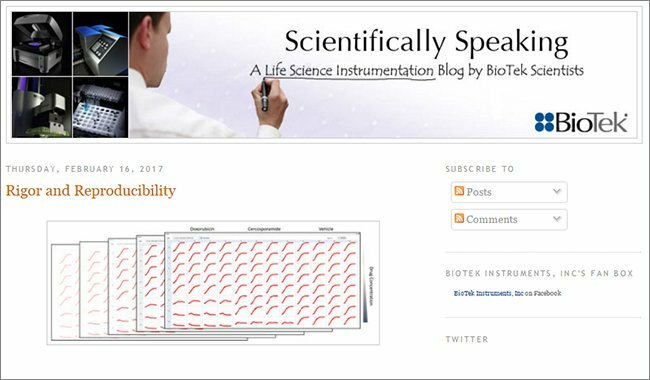 Signal intensity remained comparable to that seen in the Dual-Glo® assay when using similar reader parameters. 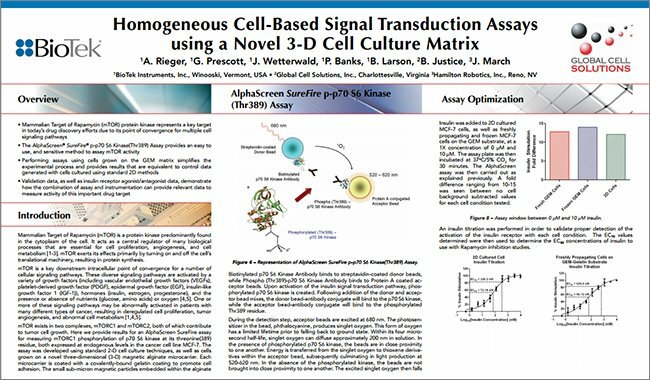 In contrast to what was observed with the DLR and Dual-Glo® assays, NanoDLR demonstrated nearly complete quenching of the Fluc signal following addition of the NanoDLR Stop & Glo® reagent after a 10 minute incubation (Figure 9). 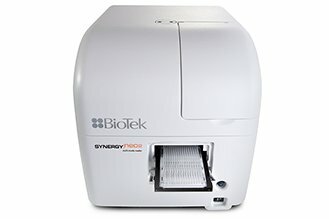 Z’-factor values were calculated as describe above resulting in values of 0.89, 0.89 and 0.92 for assays performed on the Synergy Neo2, Cytation 3 and Synergy HTX (Lum only), respectively. 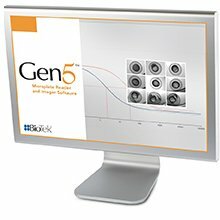 The efficient quenching of the NanoDLR Stop & Glo® reagent can also be seen by examining quench ratios across the three instruments tested (Figure 10), which were approximately 3-5 times those observed with the DLR and Dual-Glo® assays. Figure 10. Nano-Glo® Luciferase Assay System quench ratios. Quench ratios were determined for NLuc from measurements taken on several instruments. The performance of several dual-luciferase assay formats was investigated using a range of microplate readers. The assays utilized several luciferase variants that can act as either control or experimental reporters, each providing unique characteristics. The comparison included both flash- and glow-type luminescence signals in a dual-luciferase system performed in an HTS, 384-well microplate format. A newly developed ~ 16 kDa luciferase variant, NLuc, was tested as well as the commonly used Fluc and Rluc luciferases. Excellent assay performance was seen with all assay formats and across all instruments tested as indicated by Z’-factor determinants of >0.7. 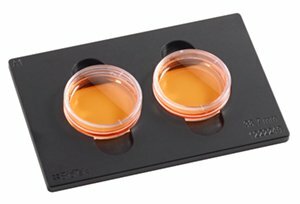 However, challenges in achieving complete mixing in 384-well plates were observed by the lag time in achieving full quenching of the initial Fluc read in the DLR and Dual-Glo® assays thus limiting the sensitivity of the Rluc measurement. 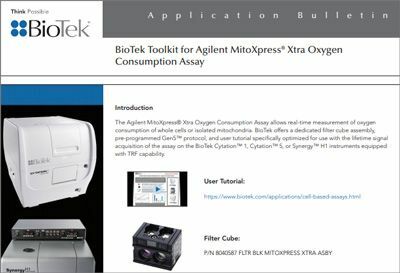 When using these assays in high throughput formats it may be possible to improve mixing by use of pipettor and/ or by use of a high frequency electromagnetic shaker. The potent inhibition of firefly luciferase coupled with the high-intensity luminescence of NanoLuc® luciferase make the NanoDLR well suited for studies in 384-well formats. The NanoDLR assay maximizes sensitivity for detection of both co-reporters and also has enhanced reagent stability. 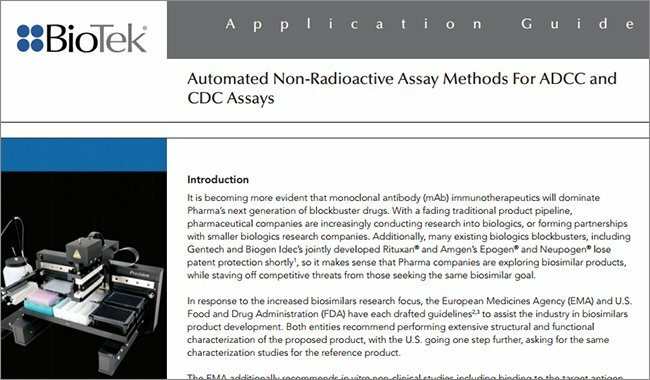 The NanoDLR assay and BioTek line of microplate readers tested offer a significant advancement for use of dual-reporter assays in HTS studies. Fan F, Wood KV (February 2007). 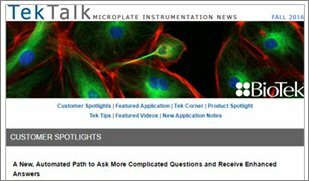 "Bioluminescent assays for high-throughput screening". Assay Drug Dev Technol 5 (1): 127–36. Contag CH, Bachmann MH (2002). 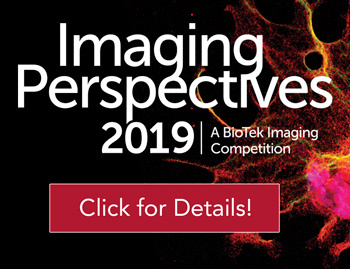 "Advances in in vivo bioluminescence imaging of gene expression". Annu Rev Biomed Eng 4: 235–60. Hall, Mary P.; Unch, James; Binkowski, Brock F.; Valley, Michael P.; Butler, Braeden L.; Wood, Monika G. et al. (2012): Engineered luciferase reporter from a deep sea shrimp utilizing a novel imidazopyrazinone substrate. In ACS Chem. Biol. 7 (11), pp. 1848–1857. Melnick, J. S., et. al. 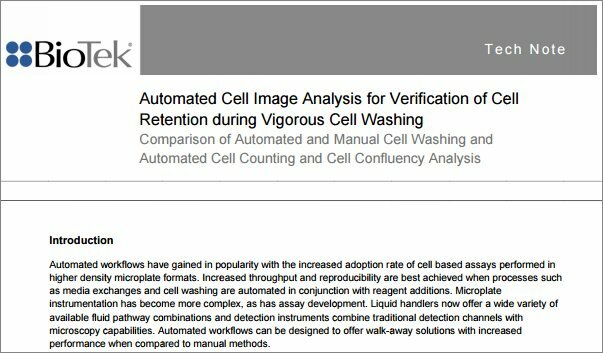 (2006) An efficient rapid system for profiling the cellular activities of molecular libraries. Proc. Natl. Acad. Sci. U.S.A. 103, 3153−3158. Doshi, U., and Li, A. P. (2011) Luciferin IPA-based higher throughput human hepatocyte screening assays for CYP3A4 inhibition and induction. 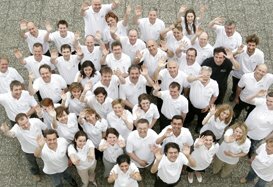 J. Biomol. Screen. 16, 903−909.